When Said Nedlouf’s wife, Mary, was terminally ill with metastatic breast cancer in late 2006, Nedlouf was willing to do anything to save her. He found Dr. Jarir Nakouzi in Bridgeport, a homeopathic doctor who said he could cure Mary’s cancer. During Nakouzi’s treatment of Mary, her husband racked up over $40,000 in charges. The treatment — which involved a variety of pills and supplements and “bioresonance” therapy, a technique that measures electrical activity at the skin—failed. In early 2007, Mary passed away at the age of 42. Nedlouf said that, in the end, he believed he was “taken for a ride.” So he filed a complaint with the Connecticut Department of Public Health (DPH), in hopes the board would punish Nakouzi for his misrepresentations. Although the complaint was filed in 2007, it wasn’t until September of 2011 that Nakouzi was disciplined with a $5,000 fine, two years’ probation on his medical license, and practice restrictions. The delay that Nedlouf experienced is not unusual in Connecticut, where it can take two years or longer for complaints against physicians to result in license suspensions, revocations and other disciplinary actions by the state Medical Examining Board, working with the DPH. A review of disciplinary decisions in the past 18 months shows that the medical board rarely acts within a year of an incident occurring – and sometimes the process takes as long as four years, with physicians still practicing freely in the interim. Reasons for the delays vary. In some cases, it takes time for the DPH to prepare charges against physicians, allow for responses and schedule hearings. In other cases, there is a lag between the alleged lapse in care and a complaint to the DPH that triggers an investigation. Last month, for example, the medical board imposed six months’ probation on Dr. David Wilterdink, who has a family practice in Danielson, for giving a patient, who was also an employee, early refills of Ativan and Fioricet without an adequate review of the patient’s medical record or proper documentation. The violation dated back to 2011. Similarly, in July 2012, the medical board imposed a civil fine on East Hartford physician Mahmood Yekta for ordering numerous unnecessary diagnostic tests on a patient without documenting the reasons. The charges stemmed from a 2007 complaint. Anne Doremus, outgoing chair of the medical board, said that delays can be frustrating for board members, as well as patients. She said some of the delays stem from a protracted hearing process, noting that Connecticut is one of a few states in which the medical board lacks its own staff of investigators and lawyers and instead relies on DPH to staff the panel. Over the last decade, Connecticut has consistently ranked in the bottom fifth of states in the rate of serious disciplinary actions taken against physicians, according to the watchdog group Public Citizen. The membership of the medical board was recently expanded from 15 to 21 members, which Doremus said may help to speed up dispositions of cases. Meanwhile, the process can be grueling for patients and physicians alike. Nedlouf was told that in his case, the length of the investigative process was largely based on the lack of standards for homeopathic physicians in Connecticut. He said outside experts in homeopathic medicine had to be called in, and finding a suitable expert took time. Nakouzi declined to comment on the case. According to a Connecticut DPH consumer guide, the average length of an investigation is six months. However, the investigation itself is only one part of the disciplinary process and does not reflect the length of time between the reporting of an incident and the board’s final decision. • Dr. Michael Waldman, a former New Milford Hospital radiologist, was investigated by the DPH for an April 2010 incident in which he perforated a patient’s spleen during a procedure. DPH records say that Waldman “recognized that he had perforated the spleen,” but sent the patient home without telling him what happened or undertaking proper monitoring. The 74-year-old patient died three days after the procedure. Not until April 2012 did the medical board impose discipline: a one-year probation, a reprimand and practice restrictions. • Dr. Gerald Micalizzi of Bridgeport was charged with improperly accessing the records of hundreds of patients at Griffin Hospital in 2010. He used the passwords of other radiologists to access the hospital’s system and download patient information, records say. The medical board disciplined him with a civil penalty, license reprimand and six months’ probation in June 2012. • Dr. Marc Aronson, a Middletown psychiatrist, was found to have given a patient a high dose of an anti-seizure and mood-stabilizing drug in 2009 without proper justification, records show. An investigation was opened in 2010. The board disciplined him with a license reprimand in January 2013. • Dr. Leslie Domalik was charged in 2010 with prescribing an excessive dose of an anti-diabetic drug over the phone to a patient in 2009, while working at William Backus Hospital in Norwich. The board fined her $7,500 in January 2013. Four recent cases of wrong-site medical procedures each took more than a year to adjudicate after cases were opened. Jean Rexford, a patient-safety advocate who serves on the medical board, said cases can take “easily two years” from complaint to board action. She blamed the delays on bureaucratic inertia. She said the commissioner of DPH, Dr. Jewel Mullen, has been supportive of improving the effectiveness and transparency of the disciplinary process. Dr. Jeffrey Lane, a gynecologist and cosmetic surgeon practicing in East Lyme, recently went through the process. He was accused of prescribing controlled substances to family members and an employee without accurate records; instructing unlicensed assistants to help him with procedures; and failing to adequately document sterilization practices. The investigation took two years from the initial complaint in early 2011 to the board’s action in January 2013. Lane took issue with several aspects of the investigation. He said that after he signed a consent order in 2011 to try to settle his case and avoid the threat of a license suspension, the DPH proceeded with a lengthy investigation. The medical board fined him $2,000, imposed a one-year probation and placed restrictions on his practice. Lane’s hearing, before a three-member panel, lasted two days. But because of scheduling issues, his hearing days were a month apart. After the second hearing on April 17, 2012, Lane said it took six months for the decision to be reached. “Why it took six months, I have no idea,” he said, speculating that the DPH “may have a big backlog.” He also said he was concerned that the medical board’s decision would not be objective because the panel is so closely linked to the DPH. “I felt like my head was in the guillotine. It’s only a matter of time until it’s going to drop,” Lane said. Under Connecticut’s system, the DPH is responsible for investigating complaints against doctors, including obtaining records, interviewing witnesses and seeking expert opinions from physicians with the same specialty, when appropriate. 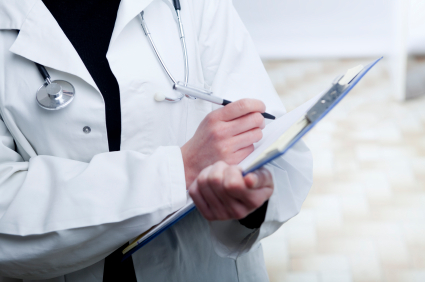 In many cases, the DPH will not act until it has retained a physician reviewer. DPH investigators confer with attorneys to draft charges. In some cases, the department tries to negotiate a settlement with the physician; in others, the case goes to a hearing before a three-person panel, which makes a recommendation to the full board. Gerrish said the DPH and the board have distinct roles, with the panel’s gubernatorial appointees acting independently. He said the DPH is focused on “conducting fair and timely investigations, and prosecuting physicians when we have determined that their conduct has deviated from the standard of care in Connecticut.” In some cases in which physicians are found to pose a clear threat to patient safety, the board takes immediate action by suspending their licenses. Public Citizen, a consumer advocacy group, takes the position that more physician discipline leads to better patient protection. In its 2012 report on the rate of state medical boards’ serious disciplinary actions against physicians from 2009-2011, Connecticut ranked fifth-lowest. The advocacy group cites adequate funding, strong leadership, and independence from other state agencies as keys to expediting and improving the work of medical boards. In Nedlouf’s case, Connecticut officials initially told him that his complaint about Dr. Nakouzi’s treatment of his wife did not have much of a chance because of the lack of standards for homeopathy, he recalled. He said there were “so many steps” in the process, as the DPH had to find probable cause to investigate and then extensively examine Nakouzi’s files. While the delays were frustrating, he said he was relieved that some action eventually was taken.